Carrying many cans at the same time is not easy. 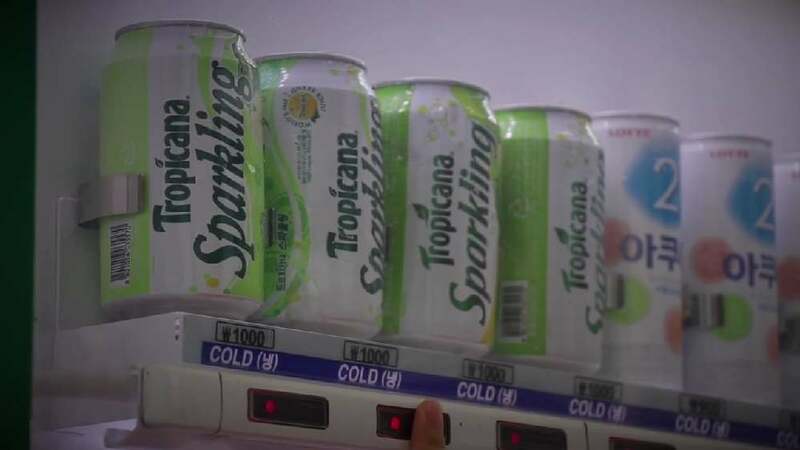 When, for example, buying several of them at a vending machine, there is a risk that they will drop. The packaging design “Lock & Roll” aims to prevent this: a screw top which securely connects individual cans ensures that they can be conveniently transported even in large numbers. The groove on the top of one can simply needs to be screwed into the protrusion on the bottom of another one, thus connecting them into a stable body in the form of a circular cylinder for easy carrying.